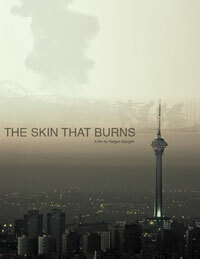 The Skin That Burns tells the story of Iran’s volunteer soldiers who were exposed to chemical bombs during the Iran-Iraq War (1980-88). The documentary follows veteran Ahmad Salimi, who is now legally blind and has scars throughout his body from exposure to chemical weapons. From the daily regimen of pills that Ahmad has to take to the inhalers that allow him to breathe, Ahmad’s story reveals the deadly affects of chemical bombs, a rarely talked about consequence of modern warfare. Following Ahmad’s story as he struggles to stay alive and fights for peace, The Skin That Burns explores issues of chemical warfare, how families struggle with disability and illness, and chronicles one man’s determination to live, despite it all.